Hello! Today I finally have one of my Chicago Polish Convention purchases to share. One of the absolute must haves on my list was Tonic Polish 'Light of Lyra'. My stepmum purchased this when we went to the first Polish Con in Chicago last year, and after seeing it on her I knew I needed my own bottle. After lusting after it for a year, here I am! Read on for my full swatch and more info. 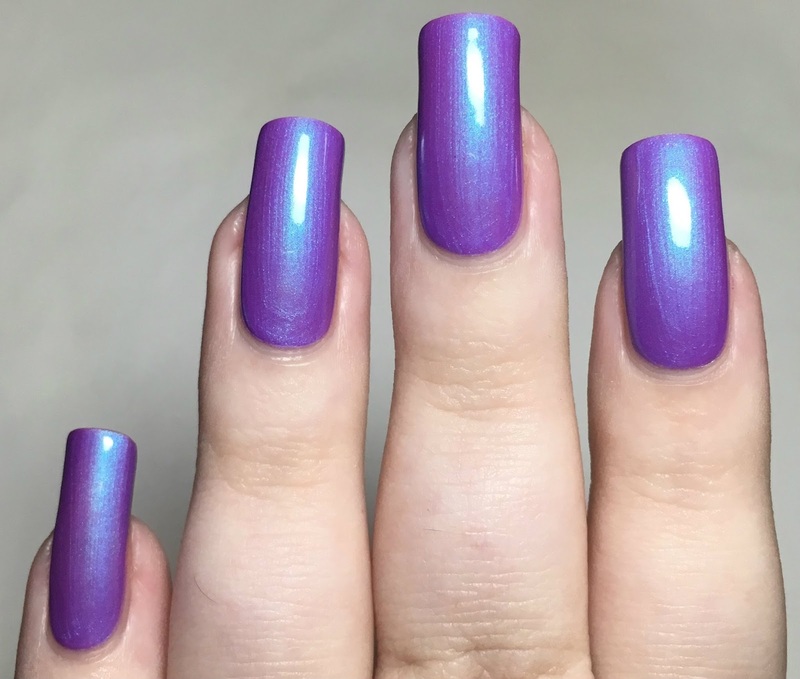 'Light of Lyra' is a bright purple base packed full of aqua shimmer. The formula is super smooth and easy to apply, and stays exactly where you put it. It is just slightly sheer and streaky on then first coat, but builds up nicely with a second. This dries to a slightly matte finish so I would recommend topcoat. Below is two coats with topcoat. What do you think? This is incredible! The strong shimmer translates so well to the nail - I love it even more than I thought I would. This has to be one of my top purchases from this year's Polish Con, and was the first one I wanted to swatch. It was also lovely to meet Lindsey. 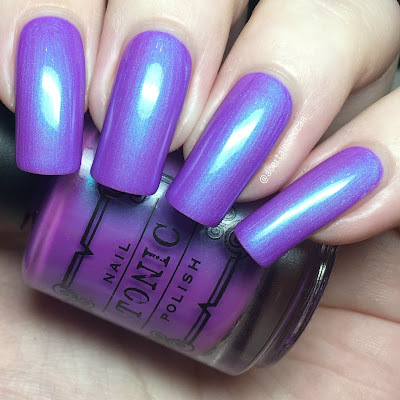 I have some more Tonic polishes to share soon! You can find 'Light of Lyra' on the Tonic Nail Polish website for $10 here. It is also currently in stock on Rainbow Connection for £10.50 here.